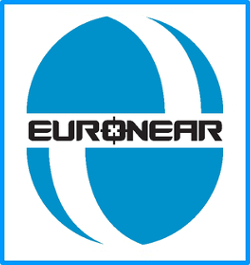 The following collaborators (students, amateurs and professionals) have been involved in EURONEAR projects. Best contributors (more than about 20 nights or days total work) are listed in bold. Last updated: 7th April 2019. Ioana Stelea, Adrian Stelea, Andra Stoica, Andreea Timpea, Daria Ciobanu, Alin Buhulea, Ciprian Turcanu. Francisco Pozo, Angie Barr, Juan Pablo Colque, Carlos Pon Soto, Nuno Peixinho. Nicholas Humphries, Paulina Sowicka, Yudish Ramanjooloo, Fiona Riddick, Florencia Jimenez, Javier Mendez (INT scheduling). Dave Sahman, Andrew McNeill, Andrew Thompson, Martha Tabor, Amaury Triaud, John Marchant. Sally Macfarlane, Seyda Sen, Tuba Ikiz, Nelvy Choque, Ricardo Herbonnet, Fabian Kohlinger, Robert Greimel, Ana Afonso. Marco Micheli, Detlef Koschny, David Abreu, P. Ruiz, M. Busch, A. Knofel, E. Schwab. Peter Veres; Quentin Parker, Albert Kong, James Hadnett, Liam Cheallaigh, Liam Fields.